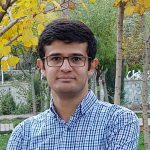 I am Arash, a Master’s student at Shahid Beheshti University. My thesis is about semantic search in information retrieval. Currently, I am a member of data science lab in Shahid Beheshti University working with Dr. Mahmood Neshati. My research interests are Information retrieval, Semantic search, Social network mining and Natural language processing.